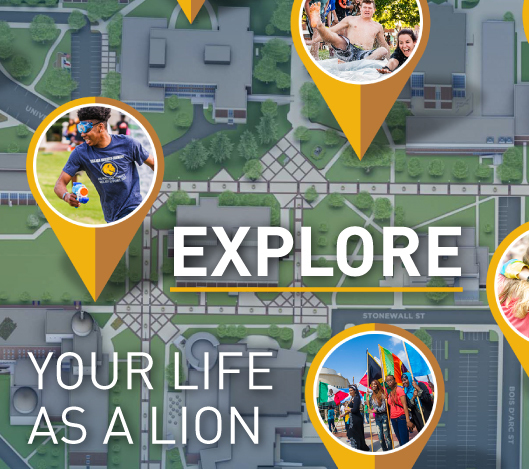 I would like to welcome you to our website and invite you to explore the history, curriculum, and people that comprise the Honors experience at Texas A&M University-Commerce. We are so proud of the opportunities we have to offer students as they make the journey through college. There are a number of pathways to an Honors experience at Texas A&M University-Commerce. The largest number of students approach the Honors experience through the Honors College. Students are recruited to enter the Honors College upon their graduation from high school. Roughly 200 hardworking and intelligent students return to East Texas each fall to gain a better understanding of the world around them and of themselves. The Honors College curriculum requires students to take roughly half of their core courses in Honors sections. These Honors courses are capped at 25 and are staffed by faculty who have requested to work with Honors students. Faculty are encouraged to take novel approaches to teaching course material and to push students to think critically and creatively. In addition to the core courses, students attend a series of colloquia and complete a thesis project. Another attractive path to an Honors education is through our Regents Scholars program. Twenty new students join the Regents Scholars program each year and partake in a curriculum focused on enhancing a student’s global awareness. The capstone experience for this group involves a study abroad experience, typically in Western Europe. The Regents curriculum also includes honors classes and provides a pathway to graduation with Honors. Finally, the Honors Scholar Program is designed to provide students who are not in the Honors College with the opportunity to graduate with Honors from Texas A&M University-Commerce. Students can enter the Honors Program at virtually any point in the college studies and receive many of the same benefits as students in the Honors College. Although classes are key part to the learning experience, we also emphasize the many learning opportunities that exist outside of the classroom. An Honors learning community is fostered by housing Honors College and Regents Scholars in living learning communities (currently in the Prairie Crossing apartments and Phase II residence hall). Many late night study and chat sessions invariably enhance the learning experiences of students. On and off-campus programs are scheduled to provide both educational and fun experiences - sometimes at the same time! Honors art faculty have traveled to museums with the students to make the trip more valuable. Other times we just let our hair down and head to a Texas Rangers game - in the "all you can eat" seats, of course. I have heard other leaders of Honors Colleges state that they have the best job on campus. I find myself echoing that statement. Each day I get to watch and work with highly motivated students and to help them as they push themselves to explore new intellectual horizons. It is easy to see the raw materials of tomorrow's star citizens and leaders in these young and energetic students. As much as we strive to help them in their academic voyage, they do not always realize how much we, in turn, learn from them. Thank you for your interest in what we have to offer. Please do not hesitate to contact me with any questions that you have.